Sean played in the opening two games but did not make another appearance until the cup defeat to Monarchs in January. 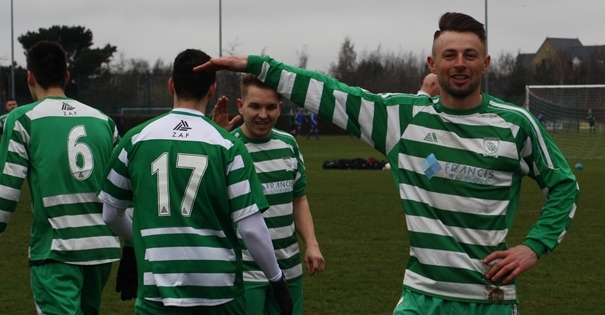 He then scored eight in eight, including a hat trick against Trinity and the match winner in the tight 1-0 win over title challengers Rushmere & Diamonds. He scored twice against Trinity as Playford, coming from behind, won 4-2. Sean collected four Man of the Matches, was within two points of the winner on three other occasions and only failed to get a vote for one game. Sean is undoubtedly a quality player, he won the Saturday SIL league with Achilles last season, and should be playing much higher than our Reserves. However with quality comes expectation and he has delivered performances that have warranted votes from his teammates. Winning the Player�s Player award is no mean feat, it requires consistency and often exceptional performances, the better you play, the more you are noticed and the more players subsequently demand before they vote. He scored an entire season�s worth of points in the 11 games he played, so one can only imagine how far ahead he would have been had he played in the "bleak mid-winter". Congratulations should also be offered to Leon Moye who finished runner up to Sean. Had he not been called up by the first team and suffered a late season injury it is very likely that he would have pushed Sean much closer.